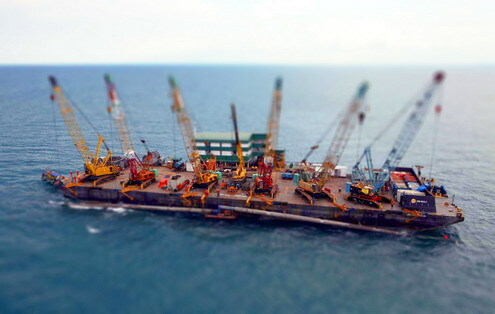 I search my collection of photos to create fake tilt-shift shoot, but couldn’t find a lot of an aerial view photoshoot, Nevertheless, i found a pic from a second story building of my campus, a photo of a barge from a copter and a pic from parking building at Mangga Dua Jakarta. To view the larger pic (1024×768) u could view the picture here. 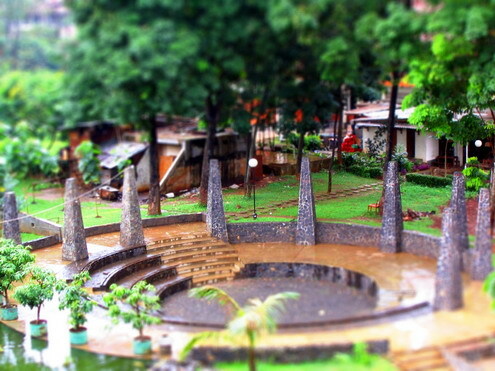 The second pic is a picture of my campus, Politic and Social Science Faculty at Universitas Indonesia. The pic is taken from Building G, about 4 years ago, there’s a lot new changes there. 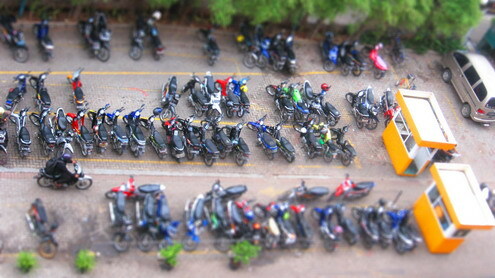 Last, here are the pic that i take from Parking Building at Mangga Dua Mall, Jakarta. I was buying a HDD at the moment and while looking for the car after finish, I couldn’t help to takes pictures while looking, but sadly i use auto configuration to take the pictures, many of the pictures are just ordinary pics.